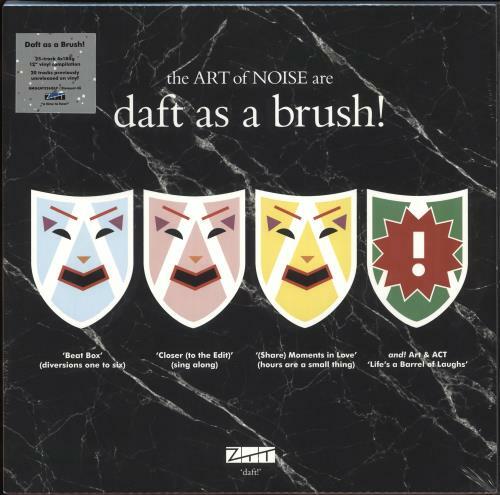 ART OF NOISE Daft As A Brush (2019 UK limited edition 25-track FOUR 180gram heavyweight vinyl 12" boxset released exclusively for Record Store Day featuring a companion piece to their renowned 1986 CD compilation 'Daft'. 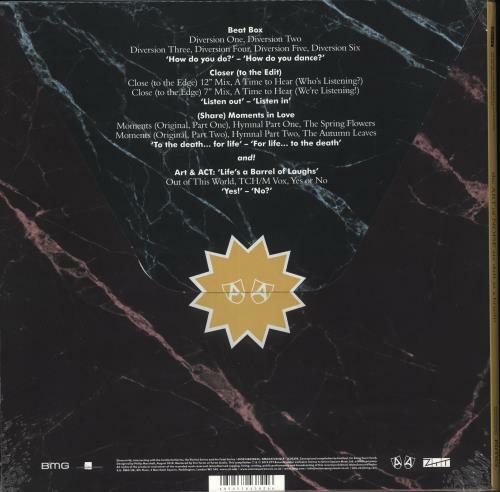 Hear a fresh takeon three game-changing records: Beat Box, Close [To The Edit] and Moments In Love while a fourth disc finally unleashes Trevor Horn & Paul Morley's mythical post-AoN project Art and ACT. Remastered from the original master tapes and including hidden recordings, all four discs are BRAND NEW & UNPLAYED and come housed in the envelope-style box which remains sealed within its hype-stickered shrinkwrap BMGCAT326QLP).